Santerno Valley War Cemetery is about 32 kilometres south-west of Imola and a little south of the main road (SP610) from Imola to Firenzuola. Imola is a town on the SS9 halfway between Bologna and Forli. Take the autostrada A1 exiting Roncobilaccio and proceed in the direction of Futa-Firenzuola. Go past Firenzuola and carry on towards Imola. 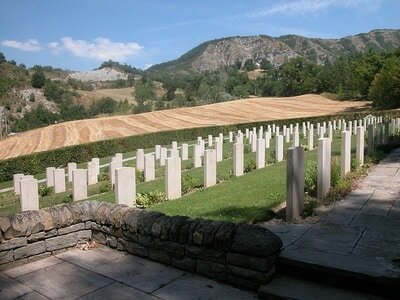 The cemetery, which is approximately 13 kilometres further on, will be seen on top of the hill on the right hand side. 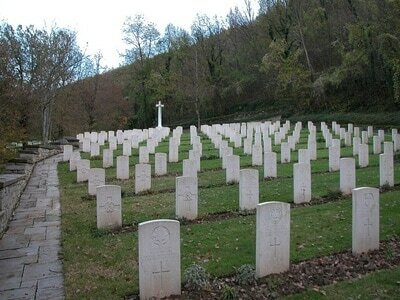 Cemetery address: Strada Statale 610 Cercetole - 50030 Coniale (FI) Tuscany. GPS Co-ordinates: Latitude: 44.163589, Longitude: 11.473492. Wheelchair access to the cemetery is possible via an alternative entrance. 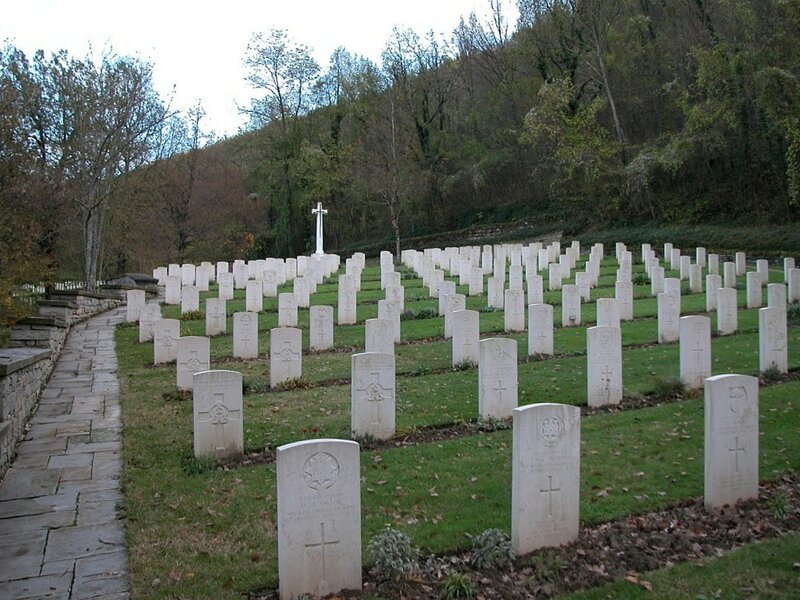 The cemetery was started by the British 78th Division during the fighting in the Apennines towards the end of 1944, and was later added to by bringing in burials from the surrounding region. 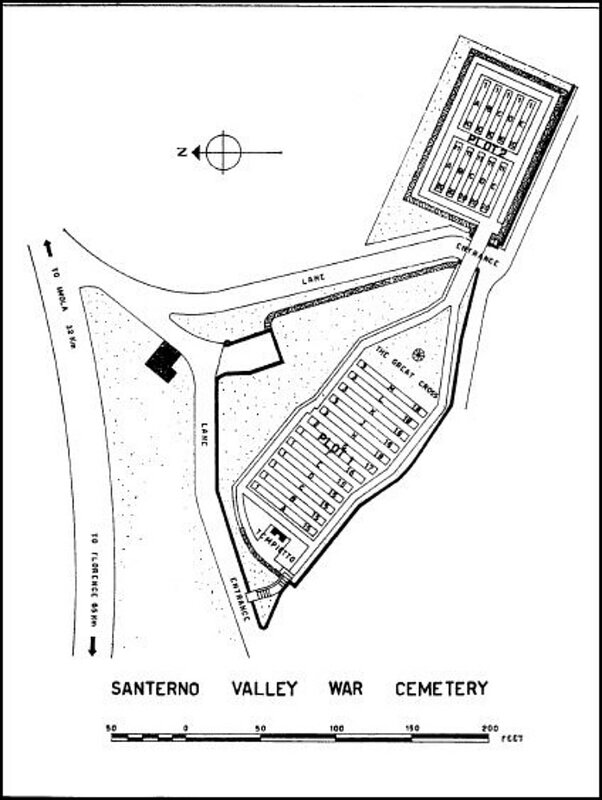 Santerno Valley War Cemetery contains 287 Commonwealth burials of the Second World War.